Disease Management is a comprehensive introduction to the management of diseases which are commonly encountered in primary care. 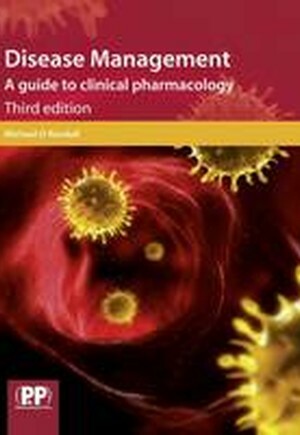 Pharmacology is considered in the context of clinical practice and a holistic approach is taken to patient care to include lifestyle issues, concurrent disease and treatment, and the use of alternative remedies and complementary medicine. 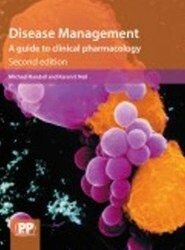 Part A The patient; 1 Signs and symptoms; 2 Clinical laboratory tests; 3 Lifestyle; 4 Herbal medicine and alternative remedies; Part B Treatment; 5 Drug Choice and prescribing; 6 Adverse drug reactions and interactions; 7 Clinical pharmacokinetics; Part C Gastrointestinal diseases; 8 Dyspepsia and peptic ulcer disease; 9 Nausea and vomiting; 10 Lower gastrointestinal problems; 11 The liver patient; Part D Cardiovascular diseases; 12 Hypertension; 13 Lipids and cardiovascular risk; 14 Obesity; 15 Ischaemic heart disease; 16 Heart failure; 17 Thromboembolic prophylaxis; 18 Anaemias; 19 The renal patient; Part E Respiratory diseases; 20 Coughs and colds; 21 Allergy; 22 Respiratory diseases: asthma and chronic obstructive pulmonary disease; Part F Central nervous system disorders; 23 Migraine; 24 Epilepsy; 25 Affective disorders; 26 Anxiety disorders; 27 Insomnia; 28 Schizophrenia; 29 Parkinson's disease; Part G Pain; 30 Pain management; 31 Musculoskeletal pain; Part H Cancer; 32 The cancer patient and chemotherapy; 33 The cancer patient and palliative care; Part I Infections; 34 Bacterial infections; 35 Non-bacterial infections; Part J Dermatology; 36 Dermatology; Part K Endocrine disorders; 37 Diabetes mellitus; 38 Thyroid disorders; Feedback on self-assessments; Appendices; 1 Formulary of some important classes of drugs, commonly used examples, mechanisms of action and uses; 2 Some important clinical measurements and therapeutic drug monitoring.